Steven Spielberg is one of my favorite storytellers. He and I have something in common: we were both English majors! He knows what he’s talking about when he emphasizes the importance of reading. The simplicity and elegance of Spielberg’s remark makes this one of my favorite quotes on writing. I encounter a lot of writers who don’t read. Some read in their younger years; others have never been big readers. Many want to read but simply don’t have time. And their lack of reading is evident in their writing, regardless of how much writing practice they’ve put in. Lots of professional writers and storytellers have expressed the necessity of reading, from Stephen King to Steven Spielberg. But it can’t be said or repeated often enough: reading is an essential practice for all writers. Even if you can squeeze in only ten or twenty minutes of reading per day, it will keep your writing robust. 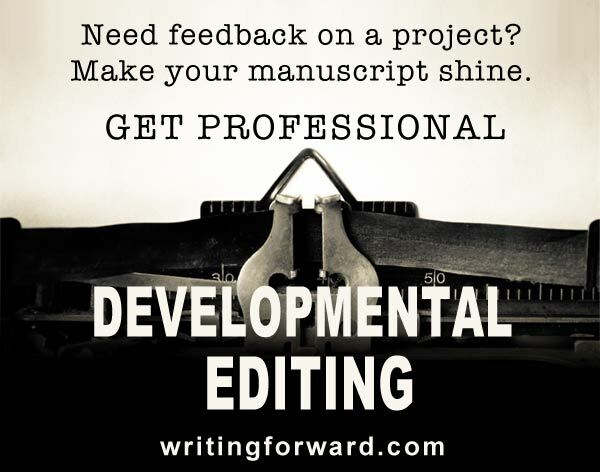 The more you read, the better your writing will be, whether you write poetry, essays, or scripts. I would add that reading well is also crucial. The market has become open: anyone can publish a book or a blog. As the market becomes increasingly flooded, the quality of the writing suffers, and sometimes we have to search more diligently to find excellent works. If you want to write good books, you need to read good books. Study the best storytellers (Spielberg is one of them) and learn from their expertise. What are some of your favorite books? How often do you read? Do you have any favorite quotes on writing that you’d like to share? Leave a comment, and keep reading! Great post Melissa! I am guilty for not having enough time or motivation to read as much as I should. But more and more as I pursue writing, I see the need for great reading. I have a friend of mine who is way smarter than I am, and she has taken some great english courses and critical thinking courses. When we are talking, she often corrects my use of words, and edits my text messages we exchange!! Instead of resenting or resisting the critique, I am now accepting that I need to improve my grammar, writing, and yes speech. So I am willing to take the advice of the masters, such as Steven Spielberg, Stephen King, Danielle Steele, ect. My reading is sporadic. I read the Bible, a few articles on the internet, and a book if it holds my attention with subject matter. I am open to any advice to help with a more disciplined approach to reading. Thanks. I believe the trick to good reading is to find books that hold your interest. Many people say that while reading, their minds wander off and they realize they’ve “read” several paragraphs without retaining what they have read. If the reading material is captivating, it will be easier to pay attention. However, it’s still important and useful to develop the discipline required to read material that might not be especially fascinating. I would recommend setting aside a little reading time in your daily schedule. For example: fifteen minutes of reading after dinner. A short time block like that is easy to get through. What you read will depend on what you want to write. If your goal is to write novels, then reading novels is a necessity. I love this quote–and love to read. If I’m going to write a certain genre I find stories in that genre, even if it’s one I feel comfortable writing in. This is true for prose and poetry. It makes my writing so much more imaginative. I don’t see how writer can’t read. It’s like a doctor without a stethoscope. But, I also like Eugene’s question about a more disciplined approach. 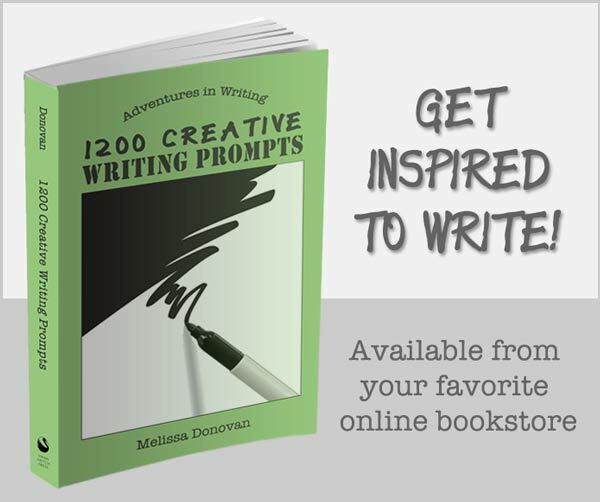 Do you have any certain stories that you recommend? I don’t recommend certain stories because what we each choose to read will depend on our personal goals, interests, and of course, what we want to write. I do think establishing a daily reading time is helpful for people who struggle to get their reading done. I used to wonder why people who don’t read would want to write, but then I realized that it’s probably about self-expression more than the craft, and there’s nothing wrong with that, but their writing will be better if they read regularly. 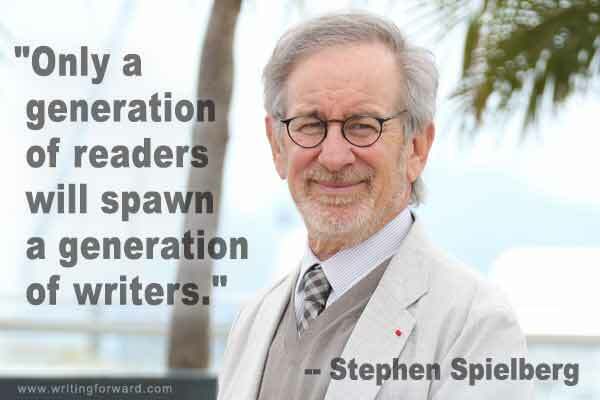 I agree with Spielberg. Unfortunately, I find that I read the least when I am writing because trying to generate content can be so time consuming. That said, I can easily see the merits more reading would bring to any writer and so, I shall endeavour to do better. I honestly think the secret is in learning the fine art of balancing both. I’ve heard many writers say they take reading breaks while writing, but usually they stop reading whatever they are writing. For example, a novelist will switch to reading nonfiction while writing stories; some people stay away from their genre: someone who writes fantasy will read thrillers while working on a fantasy novel. I agree with you that balance is the best approach.